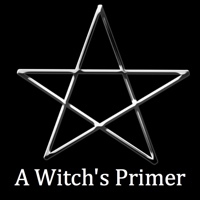 There is some debate about if you are a true Wiccan if you are solitary. I believe you are, considering all religions evolve and change with the times. Even in the Christian faith there are churches who accept gays, promote a modern view of men and women and honestly follow Jesus' ways. Wicca is no different, from Gerald Gardner who created the first recognized branch of Gardnerian Wicca to Cunningham's Solitary branch of Wicca, this Pagan path evolves with the people who follow it. I do not think Wicca is an inflexible path, but many think it is Gardanian (or a variance created by a student of Gardner) or nothing. Fairie, Dianic, Green, Seax Wica, Alexandrian, Eclectic and many more scattered throughout the world. Some are recognized as "official" traditions, others are not, I personally belong to an Eclectic Solitary path, mainly because I haven't found a tradition I like. 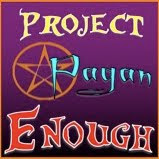 Recently I've been harassed by another Pagan, who considers himself an Eclectic-Neo-Pagan, which is fine, but says I am not a Wiccan based solely on my solitary path. He does not consider this path valid just on the one note it is not apart of a coven. I think it is truly sad how he judges people and doesn't even try to speak with them. I think if you follow the Wiccan Rede, practice the esbats and sabbats and believe the universe is made up of god and goddess entities you are a Wiccan. However, you can only become a priest/priestess if you are initiated to a coven. Of course you can self dedicate, but this just makes you dedicated to the gods and goddess' you will honor. If you want to go beyond self dedication, to become a certified elder in a tradition, you have to join a tradition. However, it doesn't mean you shouldn't read every book you come across about Paganism, Wicca, witchcraft or anything that interests you, because you are a valued member of the community and need to be an educated one. These are just my personal beliefs and have no negative standing against becoming apart of a coven. But if you feel drawn to the path of Wicca, learn, live and blessed be. The post was closed and the aggressor banned from the site, you can read it for yourself, but mainly I just told him off for his arrogance of "I'm right and you're wrong" mentality. In the end I called him a coward for just attacking me, of course I was reacting, but I felt I needed to fight for my personal choice. He refused to contact anyone else about his views, podcast or otherwise, because he was "being smart" by avoiding harassment for his views. I was willing to guard, defend and take the heat, he obviously was not and was banned for his actions. There was no right or wrong, but I tried to be concise with my words and not mean to offend. After all this debate I really want to understand the different paths and why they are different so, what is your path?